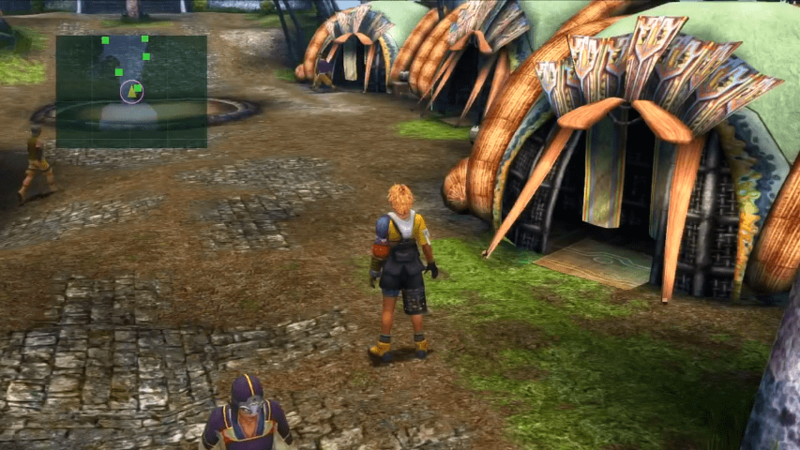 A complete walkthrough for Besaid Village in Final Fantasy X (FFX), including enemies encountered, obtainable items, and boss strategy guides. Potions (x2) Besaid Village (west). 400 Gil Besaid Village (west). Al Bhed Primer (Vol. II) Crusader’s tent. Ability Sphere After defeating Kimahri. Seeker’s Ring Waterfall Way, talk to the people. Ether Waterfall Way, talk to the people. 400 Gil Waterfall Way, talk to the people. Phoenix Down (x3) Waterfall Way, talk to the people. Remedy Waterfall Way, talk to the boy twice. 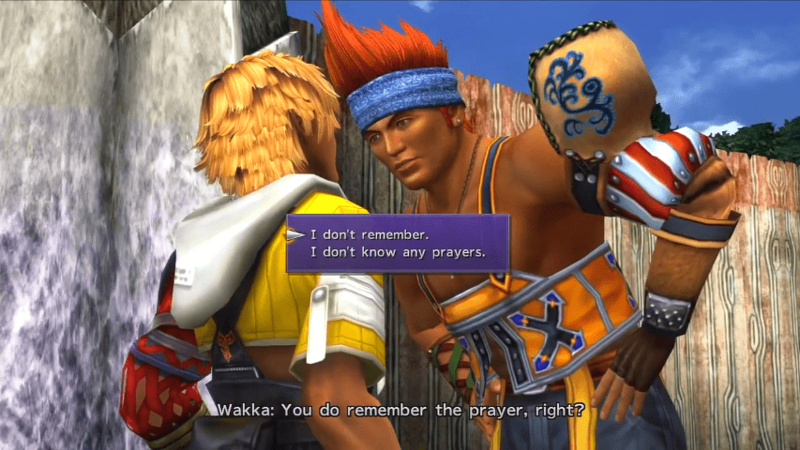 Choose either option to answer Wakka’s question. Head north and enter the temple. Go to the side of the sculptures to trigger a dialogue. 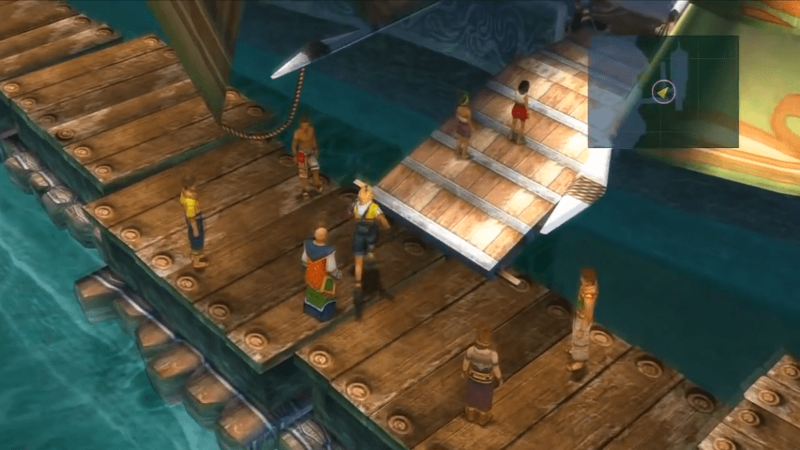 Exit the temple then enter Wakka’s lodge: the one in the middle. Return to the Crusader’s tent and examine the contraption. Return to the temple to trigger a dialogue. Complete the Cloister of Trials. Rejoin with the group to reach the center of the Village. Go outside and watch the cutscene. Follow the path and complete the battle tutorials. Continue along the path indicated by the red arrows. Follow the trail and finish the tutorials. Go to the wooden plank and interact with the boy. The first of many Cloisters of Trials is found in Besaid Village. 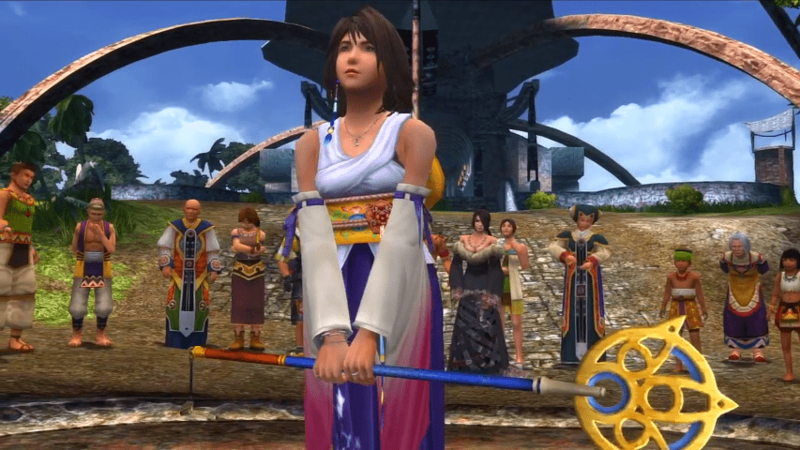 Cloisters of Trials are puzzle-like dungeons that player must clear as part of Yuna’s journey as a Summoner. 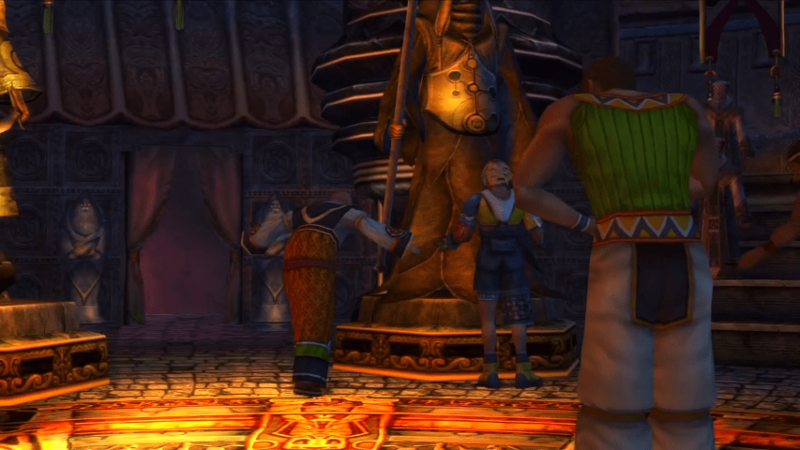 They often, but not always, allow Yuna to commune with a Fayth, powerful creatures that can be called in battle after finishing the trials. 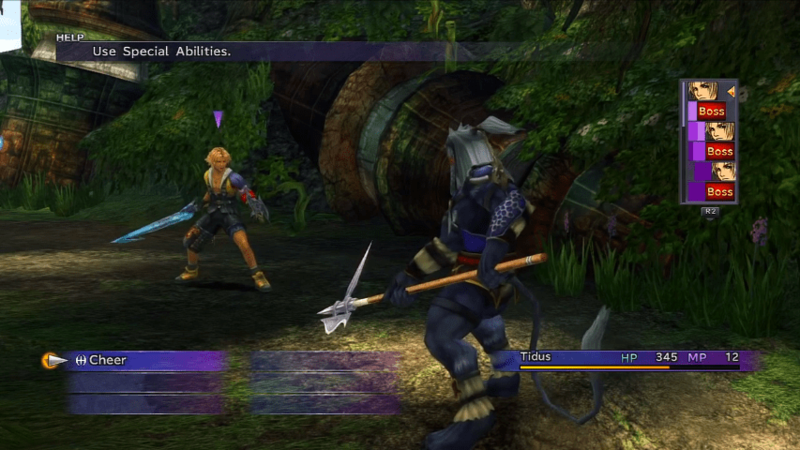 Have Tidus use Cheer to gain buffs and then attack. Should you need to, use Potions in between turns to stay alive. Use the Spiral Cut Overdrive to inflict a huge chunk of damage.